Let the Jetlag leather rocking chair by Koinor readjust your biorhythm – it’s that comfortable and designer to suitthe interior design of your designer homes. 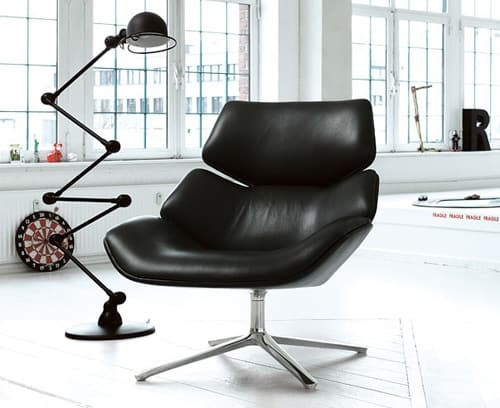 Made of soft quality leather and worked with excellent craftsmanship, this chair with footstool will bring a relaxed luxury to your beautiful homes The modern and discreet legs of the chair are cleverly designed to allow for a soothing rocking motion as the chair appears to hover above the floor like a cloud. Koinor truly knows what they’re doing when it comes to upholstered furniture, and this chair is proof of that as well as their imaginative design ideas. Visit Koinor to learn more about home decor products. The Knoll Generation chair is more than just a place to park it. This is the first office chair that lets you sit how you want, thanks to its innovative and industrious design ideas – not to mention ergonomically correct! Seated at a desk, you could be typing, surfing, or chatting on the phone or to your co-workers; sitting up straight or leaning way back. 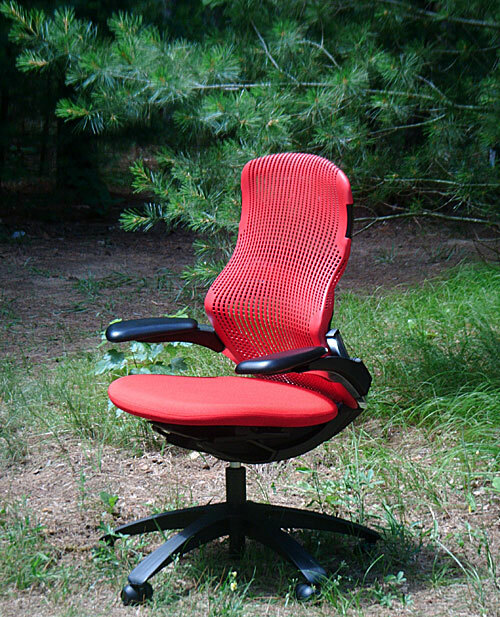 Each workplace action has its own unique set of physical demands, and the Generation line of office chairs has got them all covered. Supporting your every move, the chair by Formway Design features a flexible “figure 8” frame that “gives” as you lean and apply pressure to it in different ways, offering a truly custom comfort experience. You can use these chairs in your designer homes also while you work from home as it will suit any kind of interior design. The Generation chair translates to “easy.” The chair requires practically no assembly, arriving in two parts: the seat and base – a fast fit. We have found at least five different easy-adjustment options for a custom comfort level, coupled with good lumbar and elbow support to keep you sitting pretty all day long. The 5-wheel base lets you maneuver it around the room with ease, while offering added stability from its very base. The Flex Back Net backrest cradles your every curve – we can only compare it to sitting in a luxury sports car, with seats that wrap around you to hold you in when the road gets rough. The rich red color and striking, modern aesthetics were the cherries on the sundae. The award-winning design (recipient of the Best of NeoCon Gold Award for Seating, Interior Design, Best of the Year Award and Chicago Athenaeum, Good Design Award) has received some more rave reviews too – to read them and see the chair in action, click here. Choose from a range of different colors and finishes to complement any office space. for interior decoration For more information, visit Knoll. Influenced by a combination of her studies in classical ballet and design, Gabriella Asztalos created these unusual chairs – Hug. Understanding movement and expression of movement with forms has allowed Asztalos to build on the concept of a hug and turn it into a functional and stylish seating solution design ideas for two. In essence, these are way more than just simple chairs. These chairs embodies the wrapping of arms in a hug, creating a circular continuous form that permits those seated to be facing each other, promoting visual contact, support and communication in an intimate way. Just as a hug promotes these ideas, so does these chairs. Learn more about HugChair. 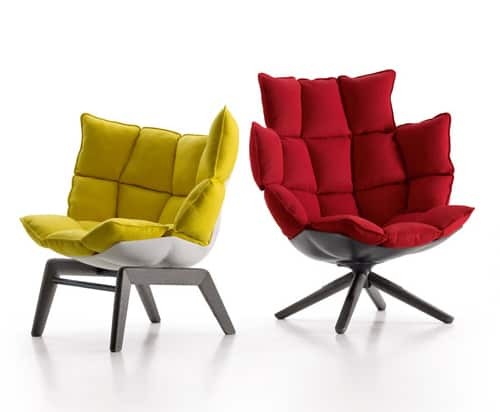 We like these very versatile contemporary chair design ideas with a four-spoke base by Enrico Pellizzoni. Suitable as dining chairs, an office desk chair or even as a functional and decorative addition to a reading corner, this chair, designed by Cappelletti & Pozzoli and named Amaranta X, is simple and stylish to suit any home decor or an office space. A sleek minimal design that makes good use of negative space ensures the chair is not too bulky and fits lightly into an airy contemporary scheme without compromising an attractive shape and style. The chair is composed of a firm polyurethane shell and a four-spoke base in chromed steel. The shell can be completely covered in leather for a more luxurious feel or finished with a glossy lacquer (white, black or red) for a more modern look. If you opt for the lacquered finish, small leather seat and back cushions are also available for extra comfort. Visit Enrico Pellizzoni for more info about Amaranta X.
Vito Selma has a minimal, exposed and honest approach to design and the Paisley romantic chairs seems exemplary of that – with its simple lines and curves but striking presence. He makes a poetic connection between these chairs and a fleeting, mysterious first love. These chairs are truly hip and sensual at the same time; inviting you to let yourself be embraced in utter style. It comes in a variety of exciting colors, sure to make a romantic statement in any space in your designer homes. We’re in love, are you? Stop by Vito Selma’s website to learn more. Kelly Swallow makes patchwork modern vintage chairs that are a true joy to look at and must be even a greater joy to own. Her Matt Black Vintage Grand Button Back Chair is one of our favorites. 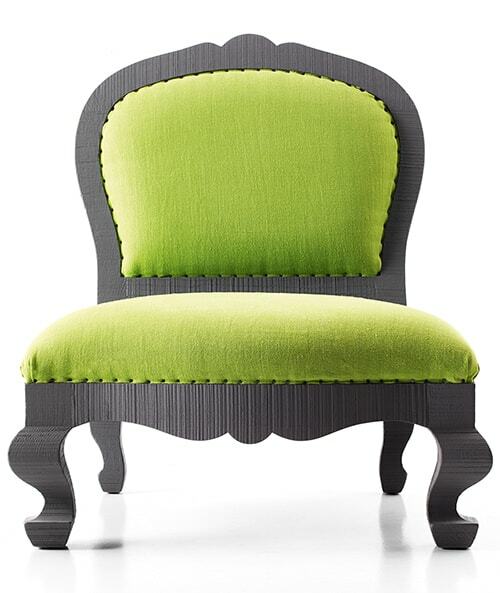 Created with fabrics from an assortment of designers like Guild, Kenzo, Zoffany, Carlucci and Harlequin to name a few, gives the chair a highly unique vibe to it. 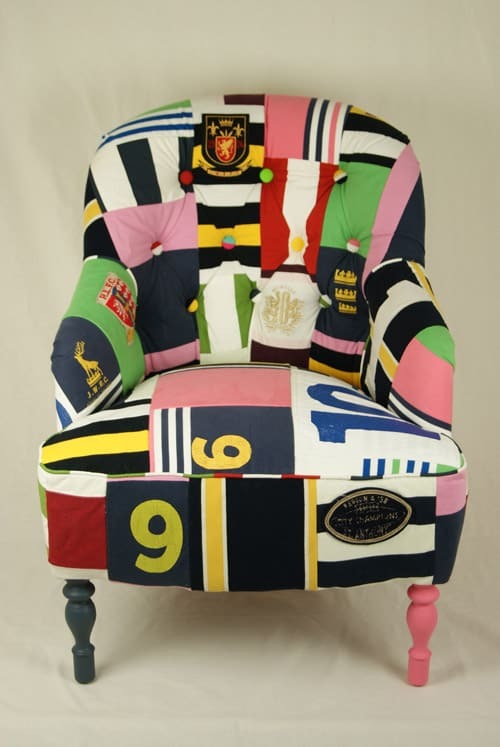 Next on our list is the sports chair she created with a rugby player’s jerseys. This chair holds memories and is fantastically colorful and fun. All her chairs can be tailor made to ensure each has its own specific charm and personality. If you’re looking for a statement piece, this may be a great option that also allows for your own self-expression. 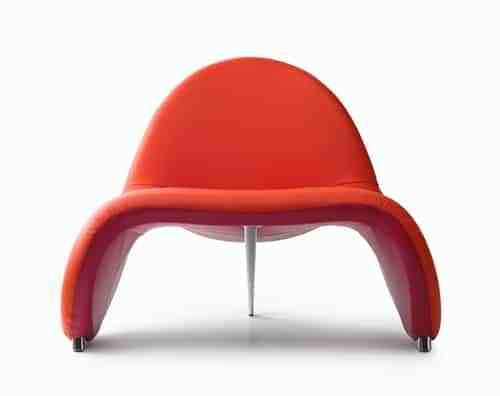 For other nice chair design ideas visit the Kelly Swallow website to see more. 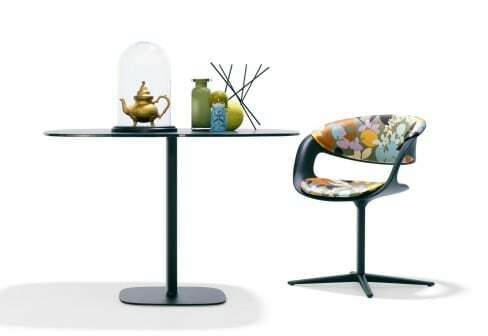 Hang out in this awakening appearance blind metal chair, blue-blooded Emisphera, by Seletti. Made of metal and PVC, this blind armchair is artfully duke alloyed and comes in white. Equally acceptable for the central and the outdoors, this armchair is absolutely agreeable and its all-around appearance promises some comfortable time in your own little nook. Seletti claims their articles are for those who are attractive to actualize a fun and claimed affairs and Emisphera embodies this notion. The armchair is advised by Selab, the class that is amenable for alarming the breeze of adroitness abaft Seletti. Learn more about this chair and browse other outdoor furniture for your designer homes at Seletti. Gone are the days of big, bulky, overwhelming furniture; the Lox bucket seat chair by Walter Knoll has all the elements of great, modern design – aesthetics and comfort. Designers Luke Pearson and Tom Lloyd created a slim silhouette with an unusual bucket seat component that invites you to sit and swivel to your heart’s content. The pedestal-style base and the see-through back and arm rests make this a great piece for small spaces, creating the illusion of more space and less clutter with its minimalist design. But at the end of the day, comfort is all that really matters. 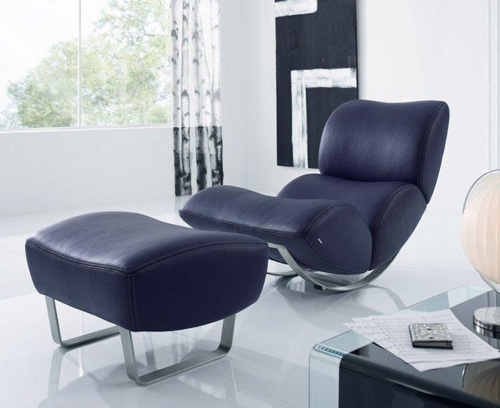 The cushions support your body while the flexible frame slightly “gives” as you lean back and relax. With their unusual aesthetic and top-notch comfort, the Lox chairs are sure to be the hot seat of your home. There is also a contemporary matching Lox table that is a must-see! Designer chairs and table ideas for your designer homes. 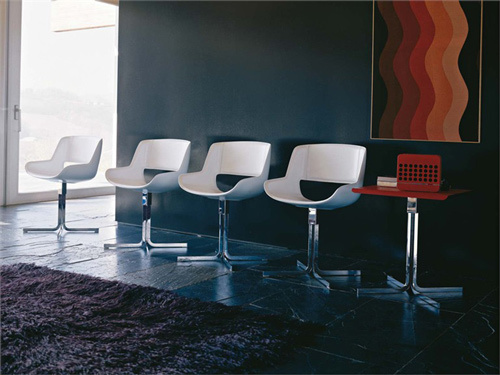 For more info visit Walter Knoll. 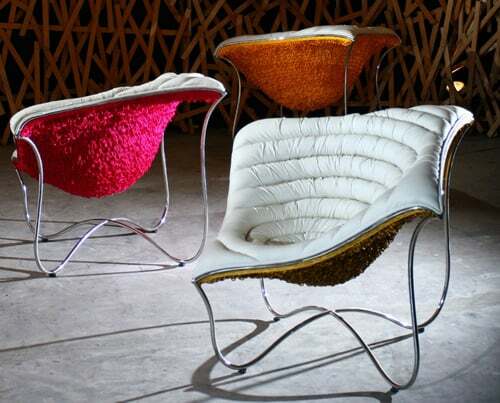 These air-conditioned adipose chairs Husk by B&B Italia afresh fabricated their actualization at the 2011 Milan Appliance Fair, and we like what we see! Designed by Patricia Urquiola – a accoutrement on the appliance arena – the armchair appearance a altered upholstery arrangement comatose in a august shell, giving it an absolutely revamped appearance that is as agreeable in looks as it is in fee. And acknowledging it all, the abject plays added of a starring role. Available in altered styles, it adds a adamantine bend to the plush, comfortable seat. Contemporary appearance and abundance characterize this air-conditioned armchair design. 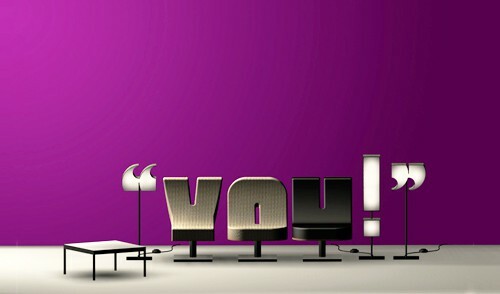 Check it out by visiting B&B Italia. These retro-style chairs by Lando embrace the past, but additionally accord it a avant-garde spin. The Gingerbread Collection by Paola Navone appearance big, beefy copse frames, ornately shaped in the attitude of Caribbean architectonics and its appropriate “gingerbread” structures featuring towers, balustrades, cornices and a absurd look. These solid oak chairs advertise raw saw cuts, amateurish to add to their “authentic” aesthetic. New for 2011, blooming is the blush of best – from delicate to acerbic blooming and aggregate in amid – bringing a beginning attending to the band and to your home. We additionally adulation the active chicken fabric, which is a attractive accompaniment to the blooming this spring. To check out these funky retro-style chairs, visit Lando. Do we have to spell it out for you? These alphabet chairs and punctuation-mark lamps by Tabisso are too cool! This alone lounge appliance by Tabisso lets you adapt your adornment in a funky, fun way. Match it to your name, an acronym or your business. The Spell It Out! Collection includes chairs from A to Z, and the numbers 0 to 9. Arrange them ancillary by ancillary to spell out a message, or assortment them up for a antic look. And don’t balloon the punctuation – these air-conditioned lamps appear in a ambit of 25 altered symbols, from quotation, assertion and catechism marks, to dollar signs and aggregate in between. Let your appliance accurate your style! Check out these typographic designs by visiting Tabisso.